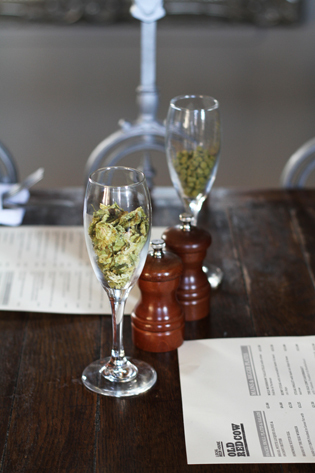 Did you know hops don’t only produce beer – they can also be a fantastic food ingredient? I had no idea. 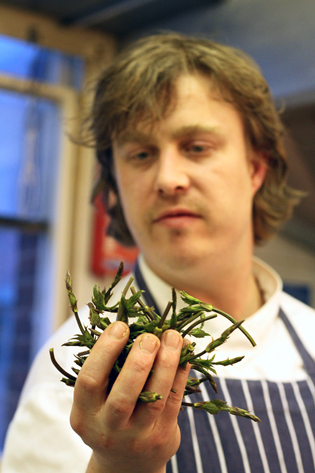 So when I received a press release that branded hop shoots as ‘the poor man’s asparagus’, I was intrigued. 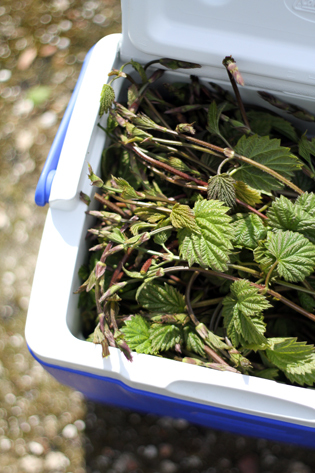 The London Brewers’ Association was behind the idea – inviting chefs, restaurateurs and brewers to a day out in Kent, to go hop picking and then cook with the produce. 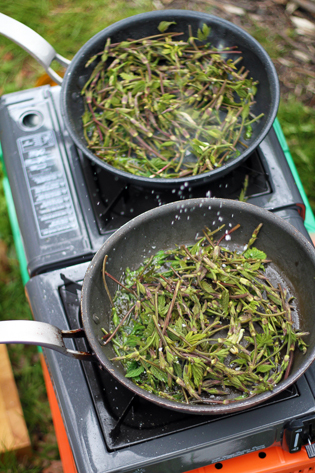 The idea to cook with hop shoots seemed so novel, that I realized it had great potential for a TV feature. When I pitched it to my editor, she raised an eyebrow and said “So, basically you want me to pay for you to have a fun day out?!”. Well, she had me on that point…! 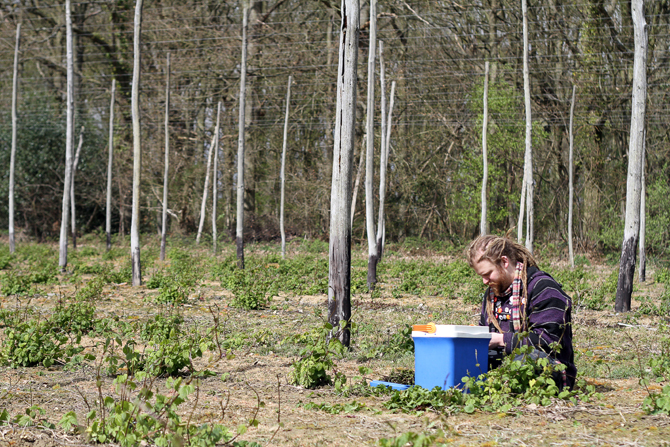 With a commission in my pocket, I headed to the Kentish coutryside to spend the day filming hop pickers – and drinking beer with them. The only slight worry was the weather, since it’s been raining non-stop for the past week. 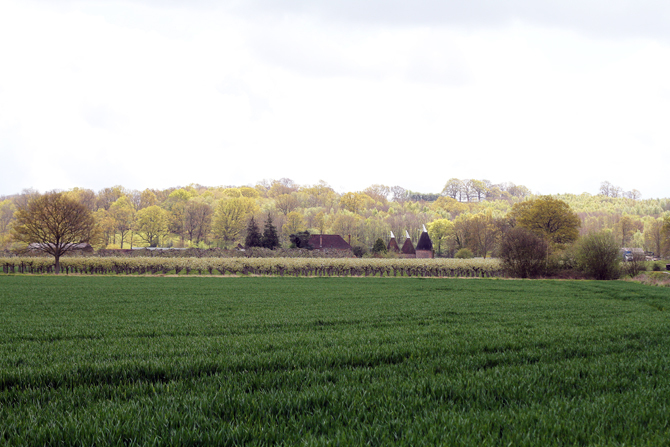 But somehow, the ‘weather gods’ were on our side, and we were greeted with sunshine. 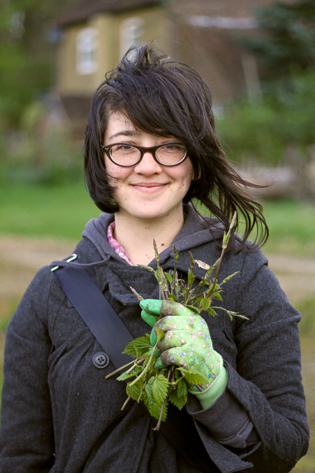 Once all the hop pickers had arrived from London, the hop picking started. 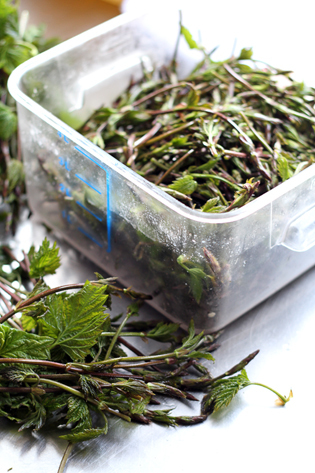 Everyone picked a spot in the field, and cut off the small, delicate shoots to cook with in their restaurants that night. 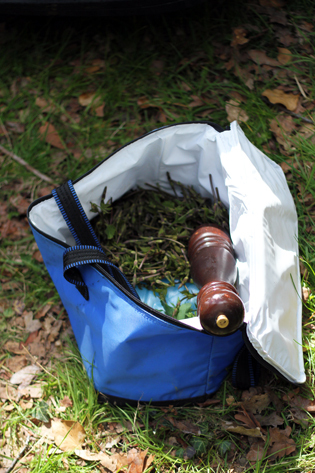 The atmosphere was really serene – only the wind blowing, birds singing and the odd chatter of enthusiastic chefs sharing recipe ideas. We could have all just as well been sitting in a strawberry field, if there hadn’t been this discreet question-mark hanging in the air above us. 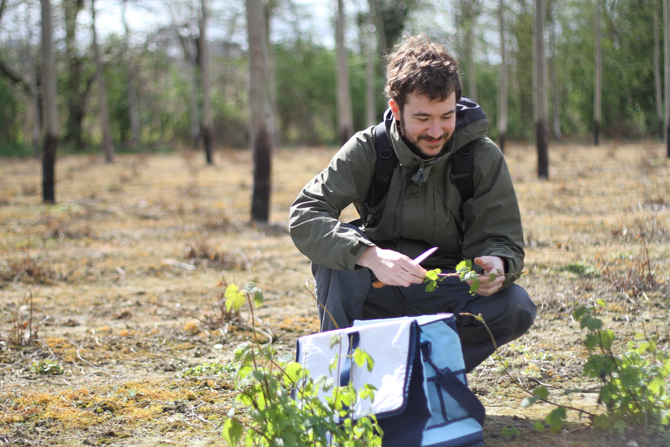 We were all picking hops, but what do we actually know about this plant, except that it makes an excellent brew…? 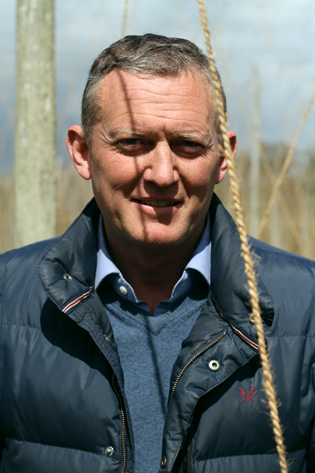 Hop grower Christopher Lillywhite gave me a bit of background on the plant. 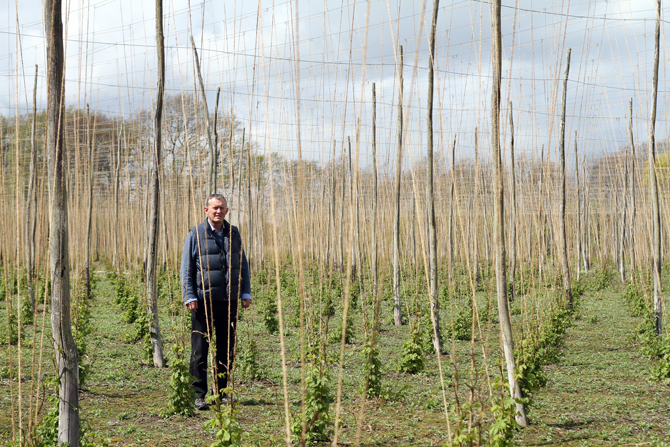 He told me that hop has been grown in Britain for over 300 years. 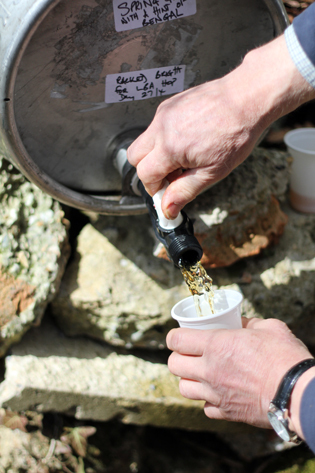 There are 12 hop varieties in England, which all have different flavoured hop oils – these create the great variety in beer flavours. 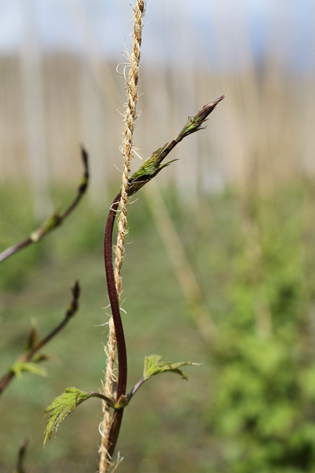 The hop plant is a perennial plant that throws a fresh set of shoots every springtime. Hop growers then carefully wrap these little shoots around strings attached to a wire lattice, so that they can grow upwards. 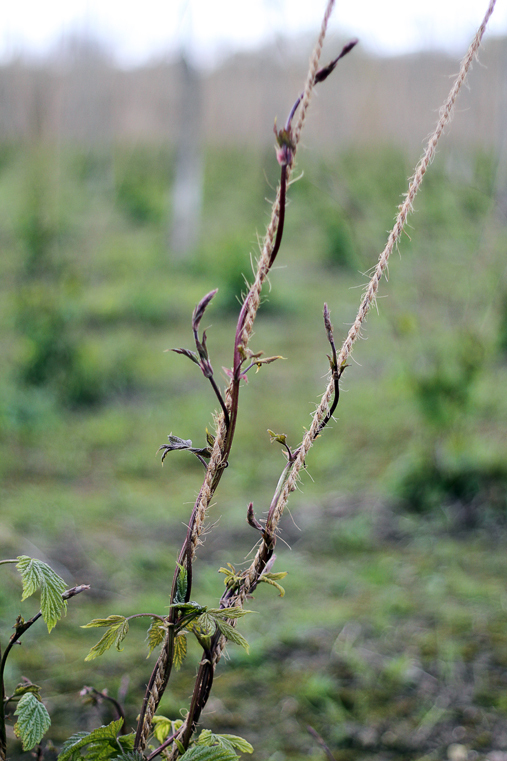 Heavily influenced by daylight, the hop plants need to have reached their highest growing point by the 21st June, which is the longest day of the year. This usually takes 6 weeks. Cooking with hops is a quite a novel idea, although I found out that the Venetians used to eat them back in the day. 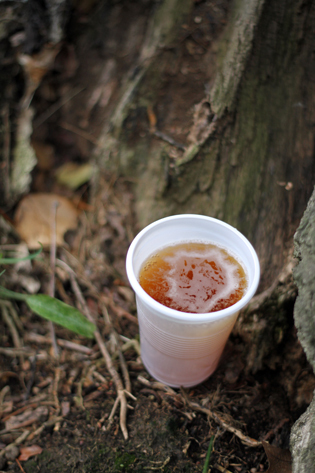 But these days, it’s been completely forgotten that young hop shoots can in fact be eaten – before they grow up to become full-grown plants, yielding the cones used in beer production. 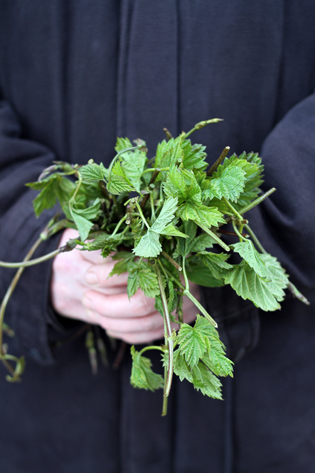 The period for edible hop picking is very short: the delicate spears can only be harvested to cook with from the end of April until early May. 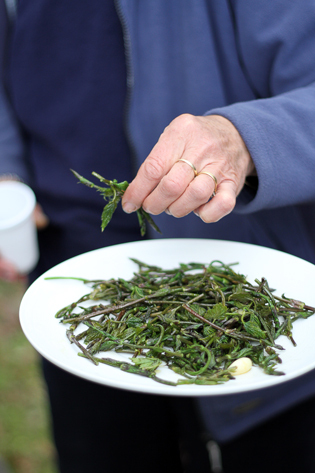 The hop shoots’ flavour is a bit too intense to eat raw in a salad – they’re best cooked. 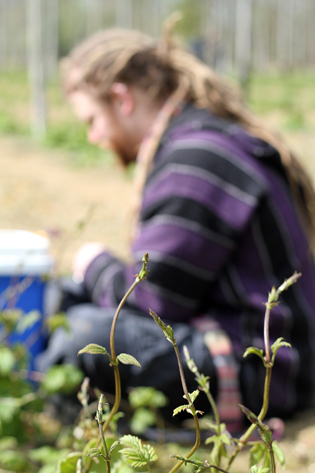 So, the chefs prepared some hop shoots in a makeshift kitchen next to the hop field. They fried the hop shoots in olive oil and garlic, and served them with pan-fried scallops. 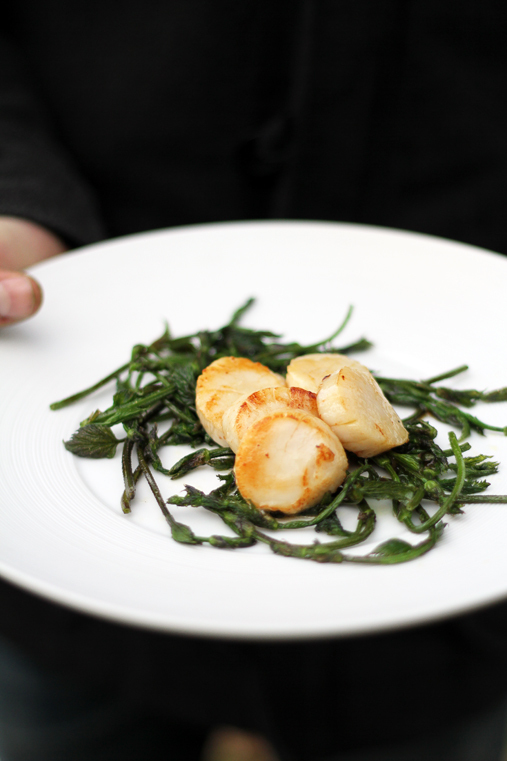 A real revelation: while retaining its fresh, grassy flavour, the shoots had acquired a gentler, more buttery aroma, which went really well with the sweet scallops. 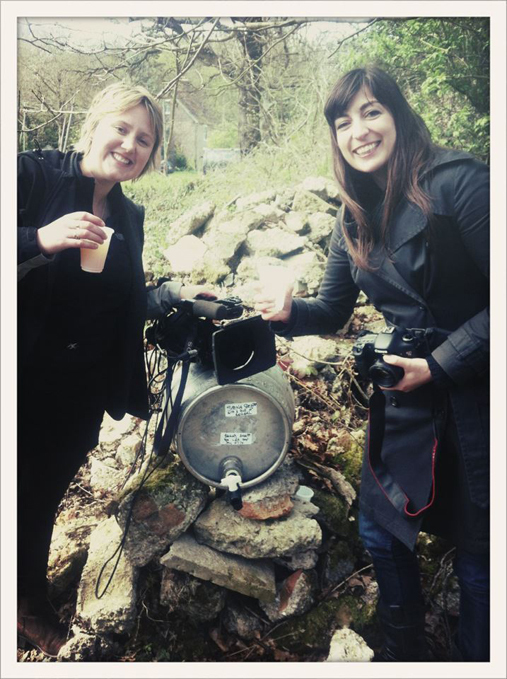 And since the day was all hop themed, we were served some great local ale to drink with our hop shoots. 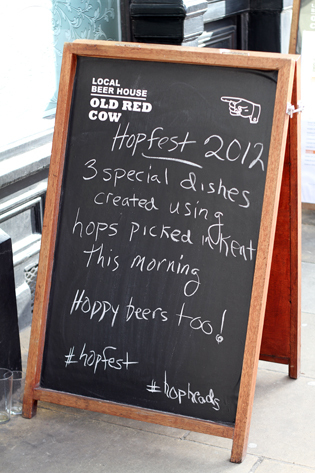 Once they had all picked enough hop shoots, the chefs headed back to cook with them in their restaurants – as part of the ‘Hopfest 2012’. 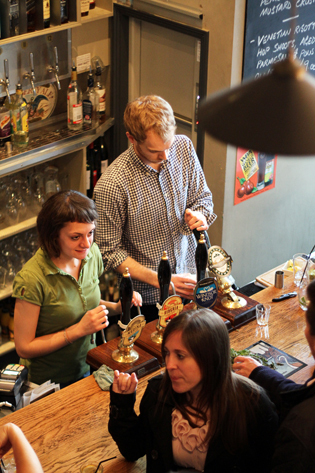 I joined the jovial guys from the Old Red Cow, a great craft beer pub next to Smithfield market. 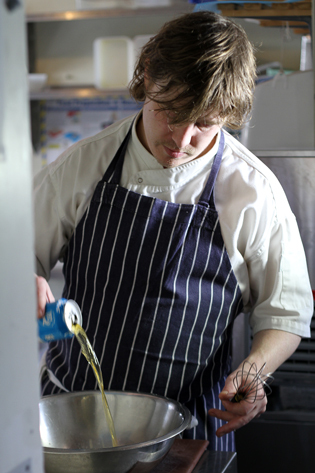 Chef Rob McMillan had created a special hop menu for this occasion. 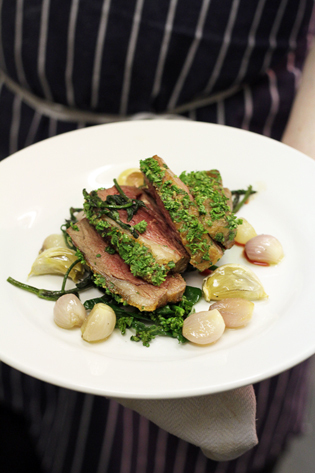 His trio of hop inspired dishes consisted of hop infused cod tempura on a bed of hop shoots, lamb with steamed hop shoots and a Venetian risotto with hop shoots. 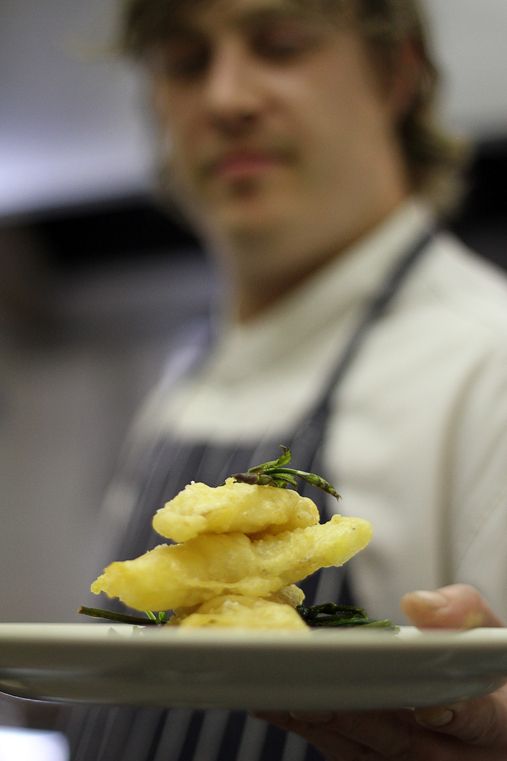 For his cod tempura, Rob replaced sparkling water with beer and added a few drops of his own-made ‘hop infusion’ to it. Made from dried hops soaked in liquid, the infusion had turned out to be so strong that Rob ended up only using a few drops in the tempura batter. 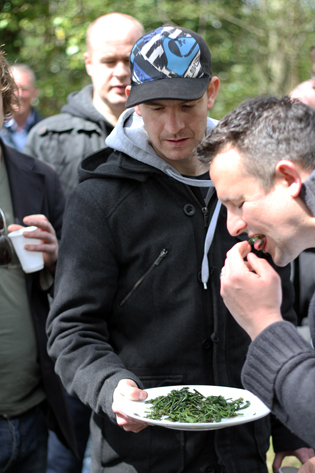 The fish was then deep-fried for a few minutes and served on a bed of flash-fried hop shoots. 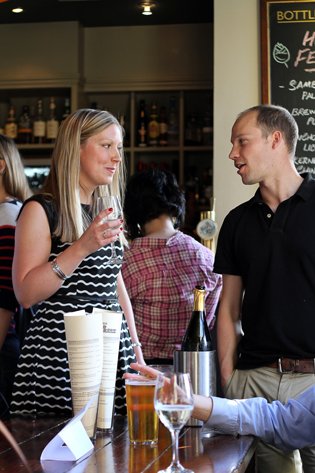 Still, the diners I spoke to at the Old Red Cow seemed to enjoy the hop shoots a lot. Emma and I ended up filming for 13 hours that day, and came home with great pictures. What a fantastic day that was! So, a great thanks to the London Brewers’ Alliance for taking us on this trip, and to Elliot and Rob of the Old Red Cow for kindly letting us film in their kitchen! Thanks guys, from Emma and Anne! oh perfekt..da wäre ich gerne dabei gewesen! ..liebe grüße s.